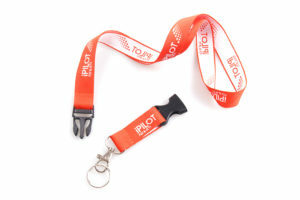 Looking for a high quality, long-term lanyards for festivals, corporate, social or non-profit events? myZone Canada’s customizable silk screen lanyards are the perfect option! These lanyards are incredibly comfortable, water-resistant, stretch resistant, and come with the add-on option for buckles, clips, hooks and badge holders! Silk screen printing is a stencil process in which ink is forced through the mesh of a screen onto the lanyard. These silk screen lanyards can be customized with your own logos, designs, or slogans – providing you with a unique opportunity to market your brand like never before! 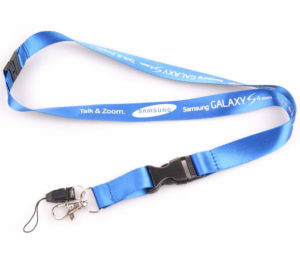 Our custom silk screen fabric lanyards are available in volumes as low as 500 bands. Your custom design is printed straight into the material and is a cost-effective option for simple bold graphics. Choose from our wide range of thread colors or provide us with your .ai file already designed with Pantone colors selected. Silk Screen Lanyards are shipped within 8-14 business days from the time the design proofs are approved. If you’re short on time, please contact us to see if a rush production is possible. The team will do their best to meet your deadline!